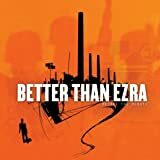 Better Than Ezra's, "Dollar Sign"
You got a Maybach trunk full of expensive junk. Kevin pronounces "Maybach" as "may back". It's actually "my bock". I'm guessing Kevin isn't that knowledgeable about cars.